a) Echoes of biomechanoid suits in The Revenant? The movie The Revenant directd by Argentinian film director Alejandro G. Iñárritu. 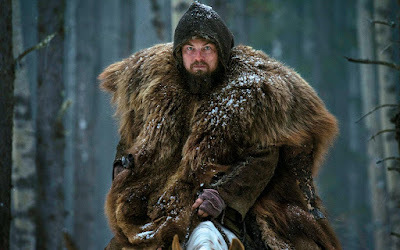 An exceedingly visceral film with Tarkovsky-esque dream sequences included, that came out in January 15th, 2016, starring Leonardo DiCaprio as Hugh Glass involved in a tale of struggles in 1820s South Dakota, America. Loosely based on historical events, Hugh Glass was a fur trader whose group are attacked by and Arikara war party. After he is mauled by a bear which he kills in self defence, he is confined to a stretcher and considered a burden to the party, soon his son is murdered and he is buried alive left for dead. Hugh Glass wears the skin of a bear skin a lot of the time in the movie, but there was tremendous imagery such as a scene where the Hugh Glass character must cut open the stomach of a dead horse, remove its innards and then strip naked to take shelter in the corpse itself. The sight of this perhaps one might begin to make comparisons between that and the way the alien hid inside the head of its biomechanoid suit in Independence Day. b) Did Patrick Tatopoulos make the connection too? I bought Scifi Now #116 new on the shelf around April 8th, 2016. 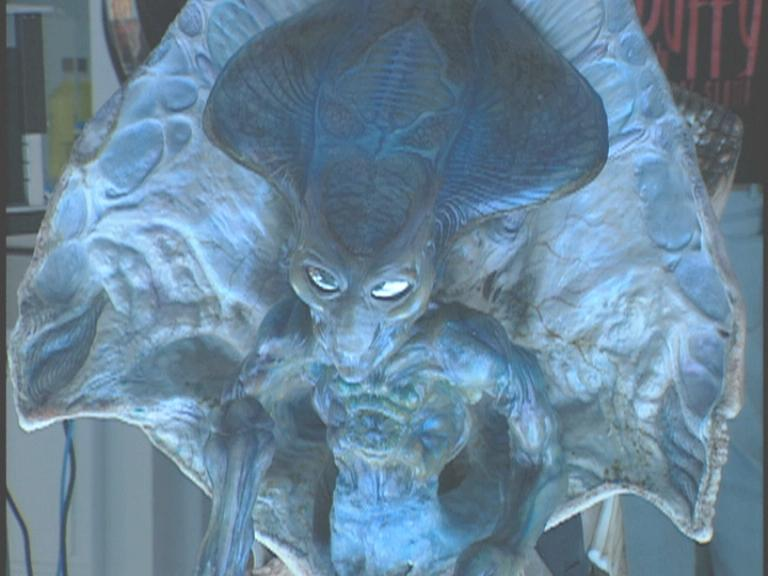 In an article about the coming Independence Day: Resurgence movie, Patrick Tatopoulos would compare the idea of the little frail alien inside the big organic suit to being like a man covering himself in the skin of a bear making me wonder if he had seen The Revenant and caught a drift of similar impressions. When I briefly met him later that year by pure chance in the Forbidden Planet shop in central London, I was too shocked to see him to ask.